Find here the best Mosmann Australia coupons and vouchers. 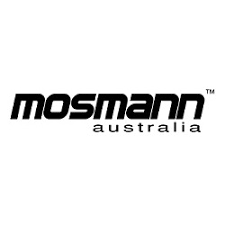 MosmannAustralia.com is a premium underwear brand who are disrupting the men’s and women’s underwear market with designs that are bold, eye-catching and trendy. We meticulously design the cut and fit of our product, using cutting edge fabrics such as MicroModal and bamboo. All of which ensures they are the most comfortable underwear you’ve ever worn.With over 100 styles of mens underwear and over 70 styles of women’s underwear, we’ve got underwear to suit everyone’s taste. We also have apparel and socks to complete the look with thoughtful top-ups. Our strength lies in our men’s range, which has gathered praise and loyalty from our customers. It’s why The Underwear Expert calls Mosmann “a brand you should start your day with”. However, we also have exciting womens’ collections coming as well. We’re stocked at some of the most fashionable boutiques & stores, including THE ICONIC, Zodee and more.